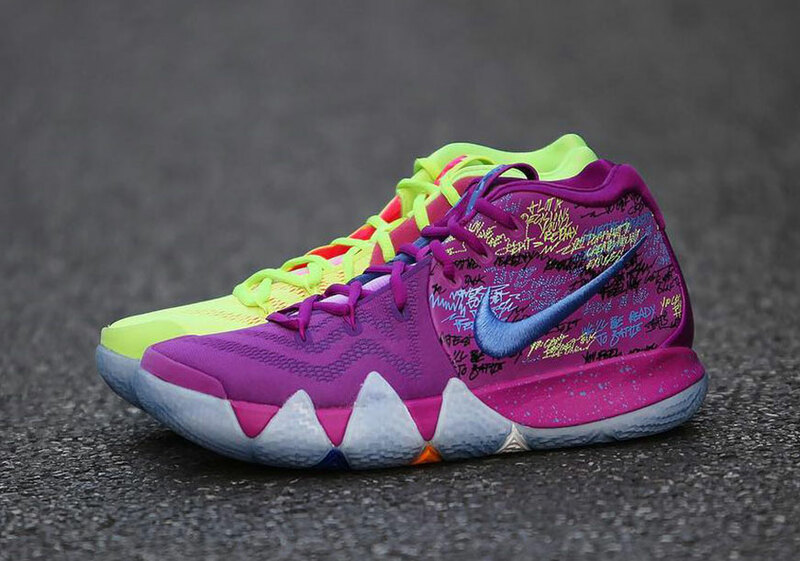 Dubbed, the Nike Kyrie 4 Confetti, that comes in vibrant colors while having a “What The” like theme on both set of shoes. Irving carries around a piece of confetti from the last game of the 2017 NBA Finals as a constant reminder of how it felt to fall short of victory. The Confetti colorway honors Kyrie’s win-or-learn mentality. This Nike Kyrie 4 is completed with scribbles and an icy outsole. Look for the Nike Kyrie 4 “Confetti” to release this Saturday, December 16th at select retailers and Nike.com. The retail price tag is set at $120 USD. 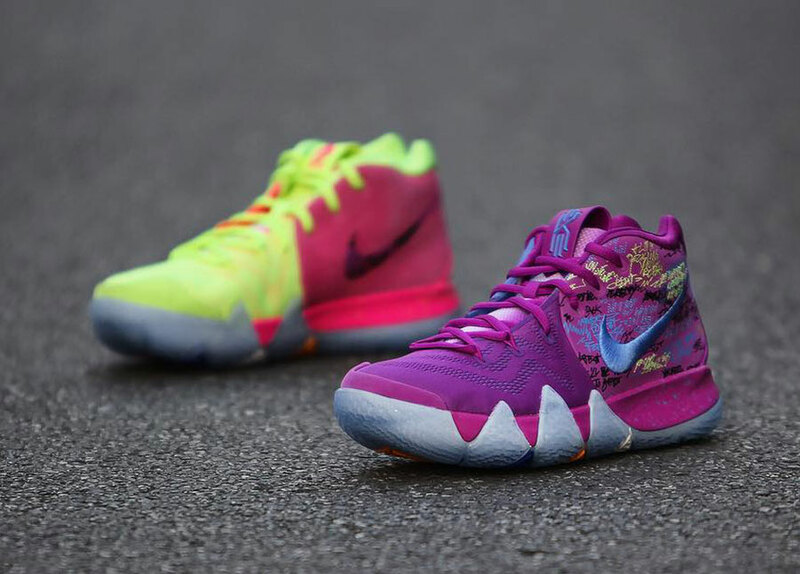 UPDATE: Detailed photos of the “Confetti” Nike Kyrie 4 via GC911.